KARADZIC VERDICT: MASTERMIND OF VIOLENCE OR VICTIM OF INJUSTICE? Prosecutors want the UN court to give former Bosnian Serb leader Radovan Karadzic a life sentence for genocide and other crimes this week – but his defence insists the trial was unfair and the final verdict should acquit him. More than ten years after his arrest in Belgrade, the final verdict in Radovan Karadzic’s trial for genocide, crimes against humanity and violation of the laws and customs of war in between 1992 and 1995 is due to be handed down in The Hague on Wednesday. Under the first-instance verdict handed down by the International Criminal Tribunal for the Former Yugoslavia, ICTY in March 2016, Karadzic was sentenced to 40 years in prison. He was found guilty of genocide in Srebrenica in 1995, the persecution of Bosniaks and Croats throughout Bosnia and Herzegovina, terrorising the civilian population of Sarajevo citizens with a long-running campaign of shelling and sniper fire, as well as taking UN peacekeepers hostage. However, the wartime president of Republika Srpska was acquitted of genocide in seven other Bosnian municipalities in 1992. When reaching their final judgement, the judges at the Mechanism for International Criminal Tribunals in The Hague will remain within the parameters of the appeals filed by the prosecutors and Karadzic’s defence. The prosecutors’ appeal consists of four parts. The first part refers to the duration of the sentence and suggests that Karadzic should get a life sentence for each of the three joint criminal enterprises in which he participated – the Srebrenica genocide, terrorising civilians in Sarajevo and persecution in 20 municipalities across Bosnia and Herzegovina. “Considered together, they form the gravest set of crimes ever attributed to a single person at the ICTY and require the highest available sentence-a life sentence,” the prosecutors said. The prosecutors also argued that the first-instance verdict erred in finding that Bosnian Serb forces were responsible for forced displacement in Bratunac, Foca, Kljuc, Prijedor, Sanski Most, Vlasenica and Zvornik in 1992, while other crimes, such as murders, destruction and sexual violence, were just foreseeable consequences, not separate planned crimes within an overall genocidal plan. The verdict’s view that it was possible that Karadzic did not want the other crimes to happen, but did not care enough to stop them, was incorrect, the prosecutors insisted. The prosecutors went on to say that the plan for the commission of the crimes was exactly what indicated Karadzic and other members of the joint criminal enterprise’s genocidal intent in 1992. “It is self-evident that a common criminal purpose encompassing murder, extermination and cruel or inhumane treatment – corresponding to genocidal acts – is more reflective of JCE [joint criminal enterprise] members’ genocidal intent than a common purpose where genocidal acts are unleashed not as an integral part of its execution, but merely as foreseeable consequences,” the prosecutors said in their appeal. The second part of the prosecutors’ appeal refers to detention locations. 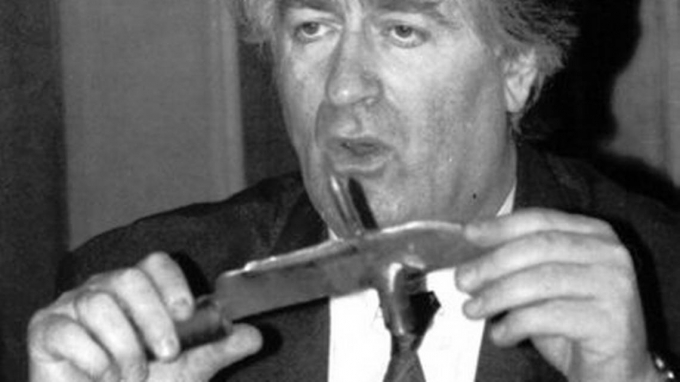 Although Karadzic was found guilty of responsibility for numerous crimes committed in detention camps run by the Bosnian Serbs, the first-instance verdict said that there was not sufficient evidence to prove that the detention conditions were “created for the purpose of physically destroying Croats and Bosniaks”. But according to the prosecutors, the verdict ignored a series of pieces of evidence that suggested that mass murders were committed in detention camps throughout Republika Srpska and that grave abuses were part of the daily routine. The prosecutors listed the Foca, Keraterm and Omarska detention camps in the Prijedor area, the Susica detention facility in Vlasenica, as well as school buildings in Karakaj and Bratunac in which prisoners were held as examples of detention camps where, in their opinion, crimes were committed on a scale that indicated an intention to “destroy” Bosniaks and Croats “as a group”. “The Chambers findings regarding conditions in detention sites significantly impacts the genocidal intent analysis. Thousands of Muslims and Croats whom the Chamber categorised as merely ‘displaced’ were in fact subjected to conditions of life aimed at their physical destruction,” the prosecutors alleged. In the third part of the appeal, the prosecutors pointed out that the first-instance judging panel “was guided by a too narrow definition of genocide”, and only considered how many Bosniaks and Croats were destroyed numerically, without taking into consideration the long-term consequences of all the crimes committed and whether they were aimed at preventing those groups from rebuilding themselves. The prosecutors specifically complained that the first-instance judges failed to consider whether genocide was committed in 1992 in Prijedor, where they insisted that “the extent of the crimes indicated a clear intention to destroy a group of people”. The former Republika Srpska president and his legal counsellor Peter Robinson filed an appeal on six separate grounds, and are calling for a complete acquittal. Presenting the appeal, Karadzic himself voiced confidence that the first-instance verdict, under which he was sentenced to 40 years in prison, would “fall absolutely and immediately”. The appeal began with claims that the proceedings at the UN court were “unfair”. Karadzic noted that he was not allowed to testify in narrative form, but that instead the judge ordered his legal adviser to ask him questions. He also complained about the indictment being imprecise and that a visit to massacre sites in Sarajevo was conducted in his absence. He complained that the court admitted a number of adjudicated facts from other trials, that prosecutors were not penalised for failing to provide him with evidence on time, that unlawfully intercepted conversations were used as evidence, and that he was not granted immunity for political speeches he made at the Republika Srpska Assembly during his mandate as president. He also appealed because the first-instance court failed to compel Ratko Mladic, the former commander of the Bosnian Serb Army, who is also on trial in The Hague for the same crimes as Karadzic, to testify. “The Trial Chamber’s sparse reasoning appears to indicate that it considered General Mladic’s rights as an accused whose trial was pending to outweigh President Karadzic’s right to General Mladic’s evidence. However, by compelling General Mladic’s testimony, the Trial Chamber could have accommodated both rights. President Karadzic could have had the benefit of General Mladic’s evidence, and no detriment could have inured to General Mladic’s case because his answers could not be used against him, directly or indirectly,” Karadzic’s appeal said. The second part of the appeal refers to the count on which Karadzic was found guilty of responsibility for a campaign aimed at persecuting Bosniaks and Croats in 20 Bosnian municipalities. The appeal argued that the verdict erred when saying he wanted the “forced removal” of the Bosniaks and Croats, when it was equally possible that he only wanted “political autonomy” for Serbs within Bosnia and Herzegovina. “The Trial Chamber acknowledged 65 separate speeches, conversations, or statements of President Karadzic that were inconsistent with the finding that he intended to accomplish physical separation from non-Serbs through forcible expulsions. Together, this forms a significant body of evidence that President Karadzic consistently envisioned and advocated that there would be minorities in each entity whose rights would be fully respected,” the appeal said. The third and fourth parts of the appeal focus on the first-instance verdict’s findings that Karadzic was guilty of genocide in Srebrenica and of terrorising the residents of Sarajevo during the three-and-a-half-year siege of the city by Bosnian Serb forces. On Srebrenica, the appeal insisted that Karadzic “did not read the details of Directive No. 7”, which he signed in March 1995, and which ordered the Bosnian Serb Army to “create an unbearable situation of total insecurity with no hope of further survival or life in the enclave” of Srebrenica. The appeal rejected what the first-instance chamber considered key evidence about his participation in the crime – a telephone conversation that he had with Miroslav Deronjic, his Commissioner for Srebrenica, on the evening of July 13, 1995, after Bosnian Serb forces seized the enclave. “All the goods must be placed inside the warehouses before 12 tomorrow… not in the warehouses over there, but somewhere else,” Karadzic responded. The first-instance judges inferred that when Karadzic talked about the ‘goods’, he was referring to the captives, who were moved to several locations in the Zvornik area the following day and shot between July 14 and 17, 1995. In his appeal, Karadzic said that the words “not over there, but somewhere else” referred to transfer to detention facilities, not to execution locations. On the terror campaign against the civilian population of Sarajevo, Karadzic insisted that the judges erroneously determined that the Bosnian Serb Army was responsible for certain shelling incidents, such as the massacre at the Markale open-air market in 1994. Karadzic said he regularly prohibited the Bosnian Serb Army from targeting civilians, and regularly received reports from the army saying that it only opened fire on “legitimate military targets”. He accused the court of ignoring testimony that supported this assertion. “The Trial Chamber concluded that all 26 VRS [Bosnian Serb Army] witnesses, who gave sworn testimony that the VRS only fired when fired upon and only at legitimate military objectives, were lying. Even if this was the case, these were the very explanations that President Karadzic consistently received during the war from the VRS when he inquired in response to complaints from the international community or when he ordered investigations,” the appeal said. As for the killings of civilians, Karadzic drew a comparison between the deaths in Sarajevo and the US Army’s use of drones for military attacks. The fifth part of the Karadzic appeal argues that the first-instance judges erred in finding that the defendant was responsible for taking United Nations peacekeepers hostage in 1995. “They were, according to President Karadzic’s view, legally detained prisoners of war,” the appeal said.